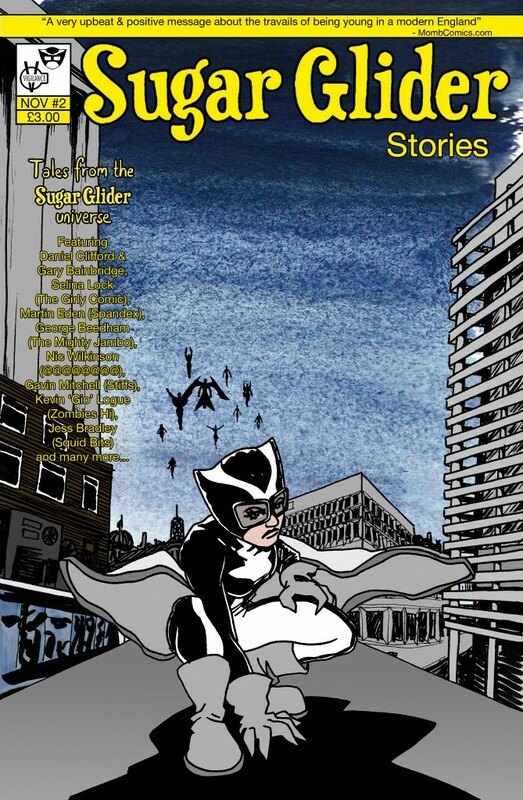 21 of the UK’s finest small press creators add to the Gliderverse in SUGAR GLIDER STORIES 2! After the furore of Sugar Glider 2, Sugar Glider Stories looks back to the events that led to Don Quixote’s twilight rampages, the establishment and development of the super-team, Vigilance and the tale of how one young member of the Sullivan family came to be interested in a small species of gliding marsupials. If you prefer, you can pick up digital copies of the Sugar Glider comics at our Comicsy site.